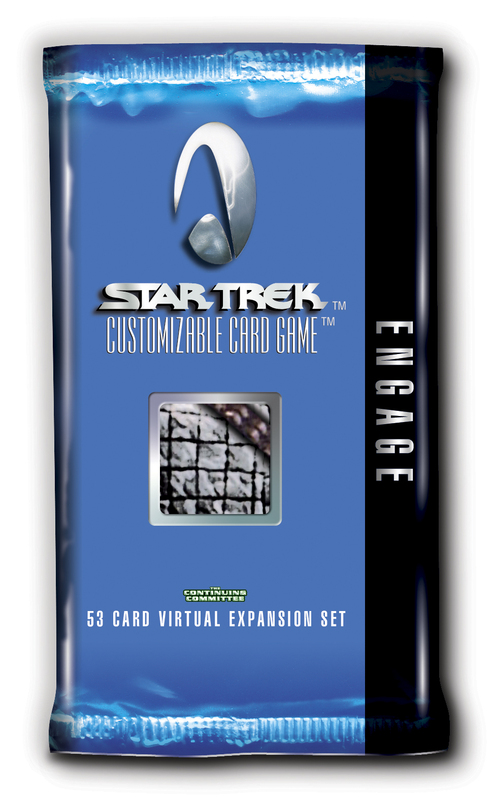 A Virtual Expansion released on 2012-11-02. The Federation’s most cunning foe, the Romulans, adds to the celebration of 25 years of The Next Generation and they are not alone. Engage explores another side of the 24th century with thematic dilemmas and the addition of Cardassians to Block format. This fifty-three (53) card First Edition expansion will deepen classic decks and inspire new decks with new personnel, ships, and even a "revolutionary" artifact that will have lasting repercussions throughout the galaxy.